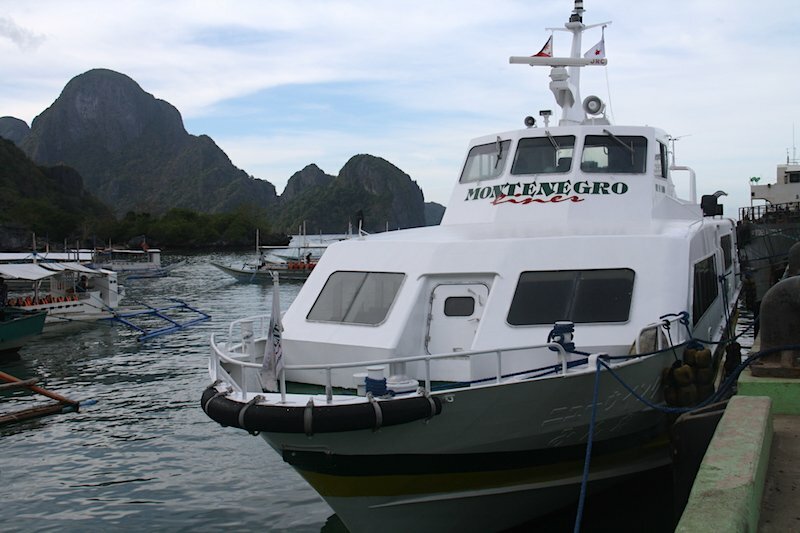 All about the Montenegro Fast Ferry Coron – El Nido. Montenegro Shipping Lines provides high quality and reliable transportation service between Coron and El Nido. Advanced reservation is strongly recommended to avoid disappointment. 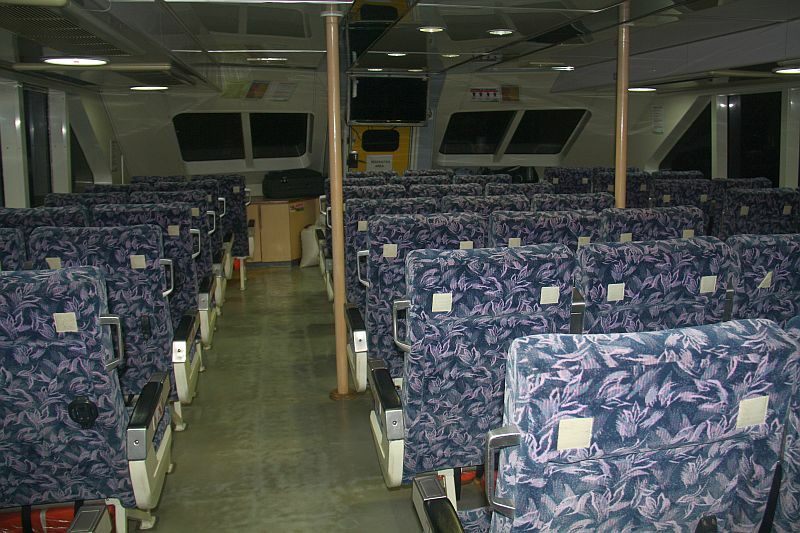 Boarding time is strictly 30 minutes before the scheduled departure time. Right after ordering you will receive an email notification with a voucher. 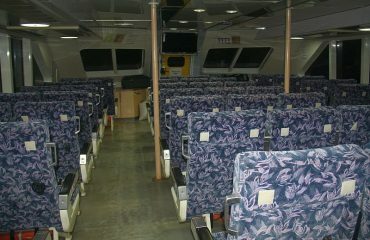 The voucher entitles you to redeem your ferry ticket. You have to present a printed copy of your voucher to Montenegro Shipping Lines in order to redeem your ferry ticket. Cancellation due to bad weather or technical problems. When a sailing is cancelled because of adverse weather conditions or technical reasons or other circumstances (basically where ‘force majeure’ applies), we will reschedule your trip to the following day at no further cost, or offer you a full refund. In case you do not wish to travel the following day, you MUST return your boarding ticket to the Montenegro office, otherwise, the refund will not be issued. 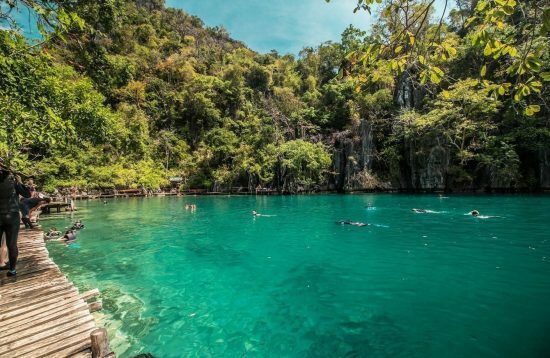 All refund claims must be submitted by email to info@travel-palawan.com within 5 days from the date of the cancellation. For any reason, we will not entertain any claim received after this period. We do not offer any compensation for additional expenses (e.g. accommodation, meals, flights, etc..). You may submit a request to your travel insurance for reimbursement. 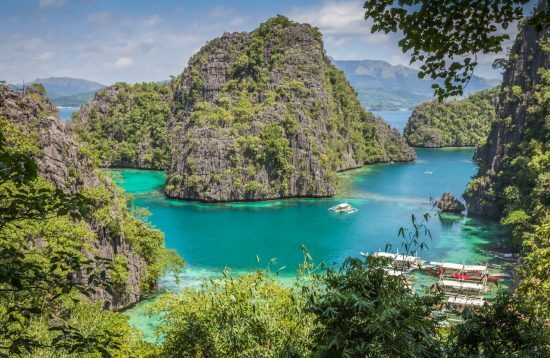 Ensure before you travel here to Palawan that you have travel insurance. Travel insurance will cover you for delays and additional costs that arise due to reasons beyond your control, such as adverse weather conditions. 11.30am Meet at Montenegro office. 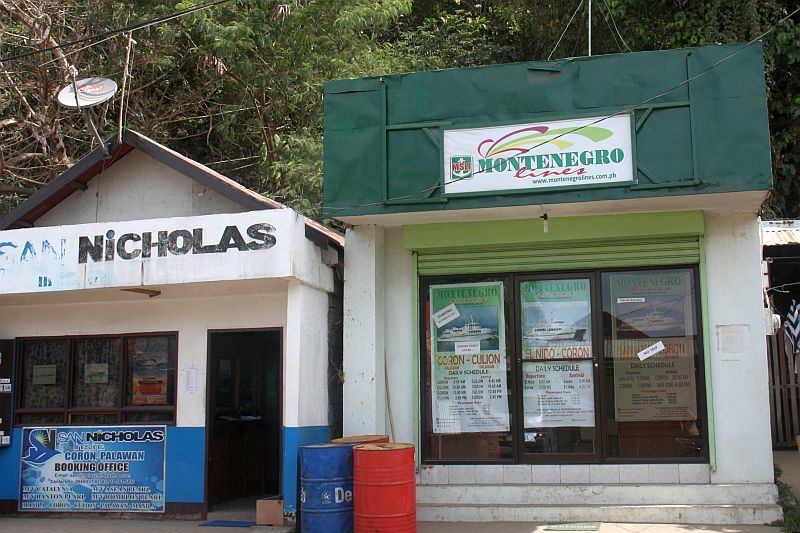 Montenegro office is located on the highway near Coron port. 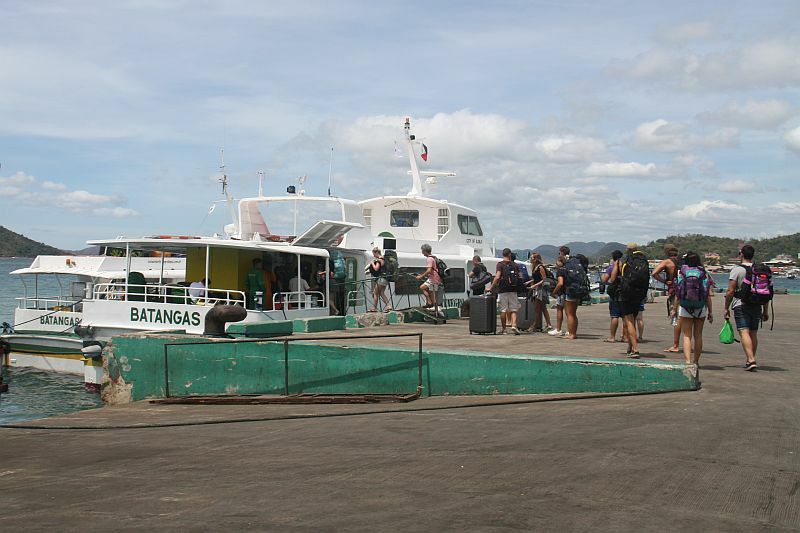 12:00 pm: depart to El Nido. The journey takes approximately 3.5 hours / 4 hours. In case of bad weather, it may take up to 5 hours. What happens in the case of bad weather?I've just completed my online booking, how do I receive my voucher?Is hotel pick up and drop off included in the price? 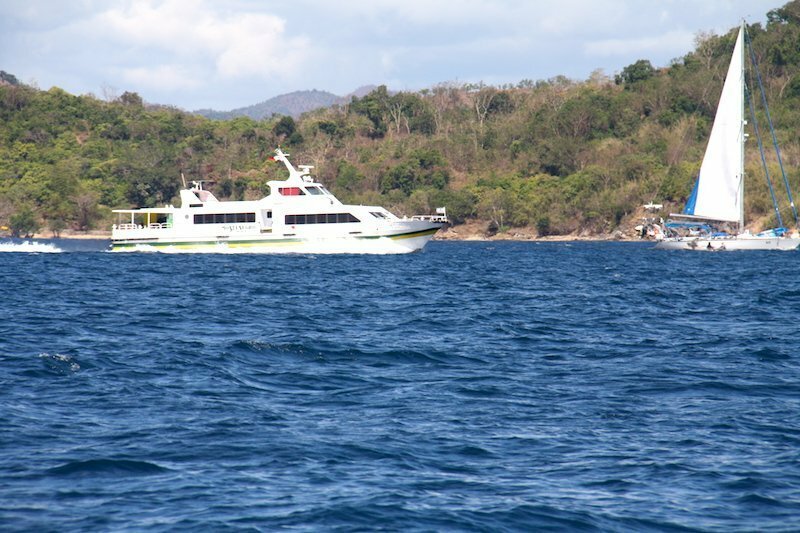 I don’t have Paypal account, can I pay with credit card?How long it takes the fast ferry from Coron to El Nido?Where is Montenegro office in Coron?What time the fast ferry departs from Coron?Will you inform us in advance if it’s cancelled due to the bad weather?Can I change the travel date?What's your policy for the no-show?I cannot print the voucher; can I keep it the phone?What’s the name of the fast ferry?How far in advance should I make the booking?What time do I need to be at the port for boarding?How can I book fast ferry?In case of cancellation, do you provide accommodation? I've just completed my online booking, how do I receive my voucher? 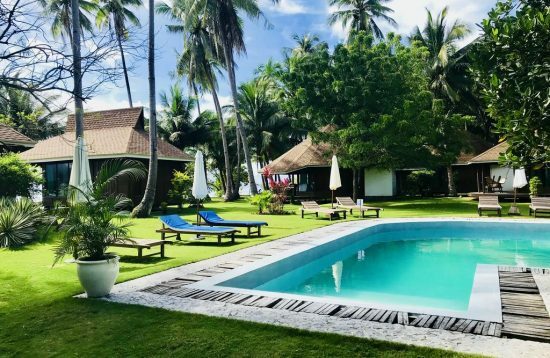 Is hotel pick up and drop off included in the price? 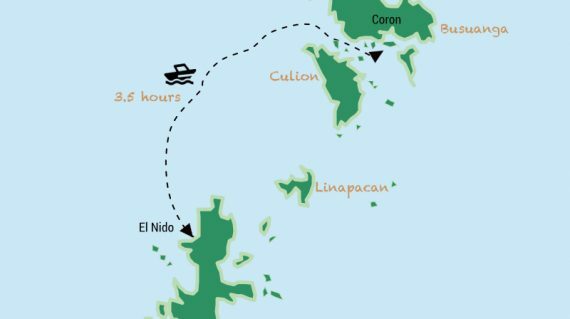 How long it takes the fast ferry from Coron to El Nido? Where is Montenegro office in Coron? 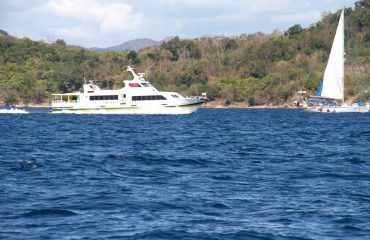 What time the fast ferry departs from Coron? Will you inform us in advance if it’s cancelled due to the bad weather? Can I change the travel date? What's your policy for the no-show? I cannot print the voucher; can I keep it the phone? What’s the name of the fast ferry? How far in advance should I make the booking? What time do I need to be at the port for boarding? 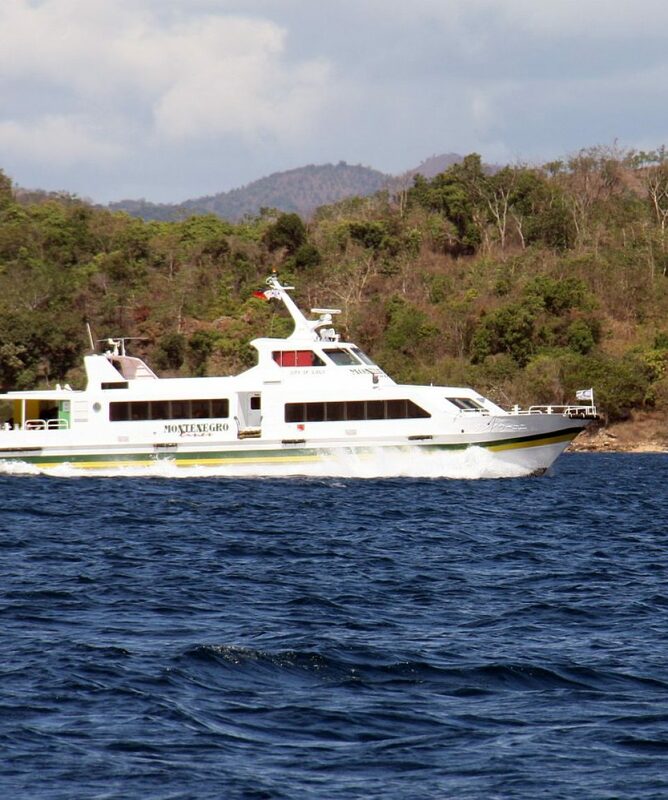 How can I book fast ferry? In case of cancellation, do you provide accommodation? If your trip is canceled, we will rebook you on the next available departure. If you cannot postpone your trip, then you can request a full refund or rebook on an alternate service (tour or transfer) of the same value. Note that sailing may be canceled within 30 minutes prior to departure in the event of changing weather conditions. The voucher will be e-mailed to you within 48 hours after booking. If you haven’t received the voucher after 48hours, please send us an email. 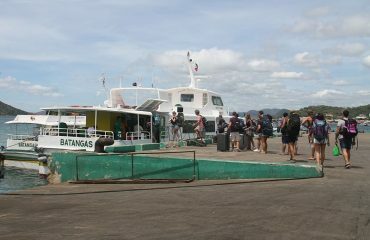 No, you have to reach Coron port with your own transportation. 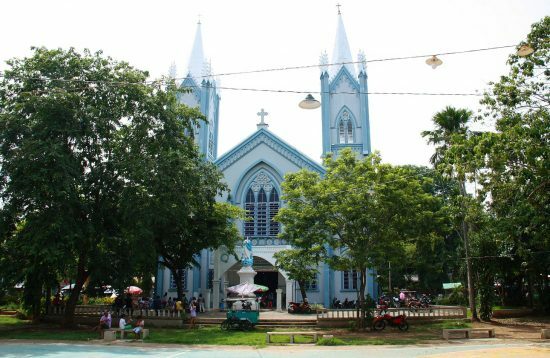 Your hotel in Coron can help to book a tricycle or van for the transfer. You will be redirected to Paypal page. Click the grey buttom “Pay with Debit or Credit Card” under the blue login button. If you wish to pay by Bank Transfer, Transfer Wise, Pawnshop, then please contact usfor more information. 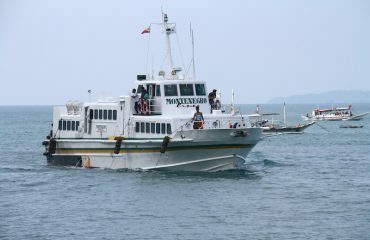 The fast ferry from Coron to El Nido takes approximately 3.5hrs – 4.5 hrs depending on the sea conditions. 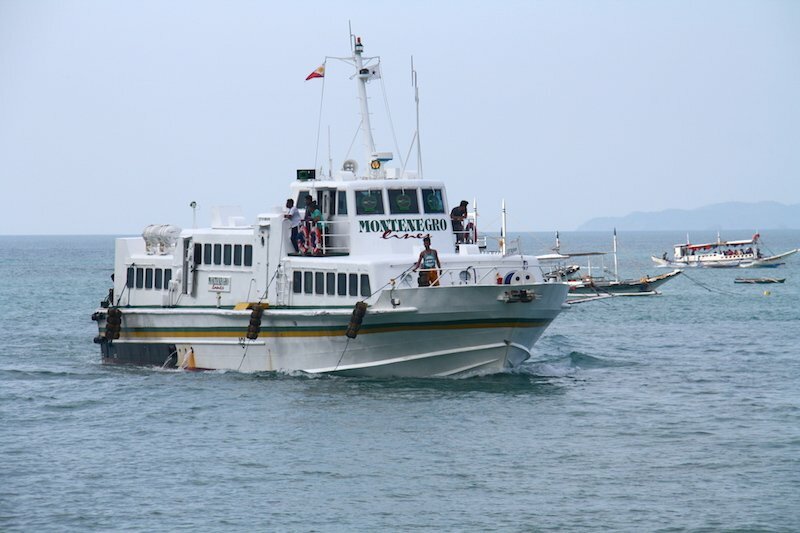 The Philippine Coast Guard don’t allow any vessel to sail from El Nido to Coron and vice versa in case of adverse weather. Coast Guard can approve or deny the sail at the very last minute when you are already at the port. If you need to change the date contact us via email so can make the amendment. If you didn’t show up on the day of your departure and you didn’t advise us this is automatically considered as NO SHOW and there will be refund. If you want to re-book for the next day, then you will have to buy a new ticket. Yes, you can present the travel voucher through your smartphone. We strongly suggest you book at least one month in advance in order to avoid any disappointments as space on the ferry is limited. Please be at the port at least 30 minutes before the scheduled departure time (1 hour before if you travel in peak season). Now, we don’t offer any composition. It’s advisable to buy a travel insurance to cover these expenses due to cancellation, delay and other events beyond our control.